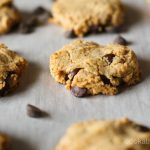 Chocolate chip ghee cookies – who would have known such an amazing flavor combination existed?! There were a number of awesome discoveries I made about food during my Whole30 months … one of them was ghee. You see, many oils are classified as ‘less healthy’ for you, and some oils are classified as ‘more healthy’ for you. 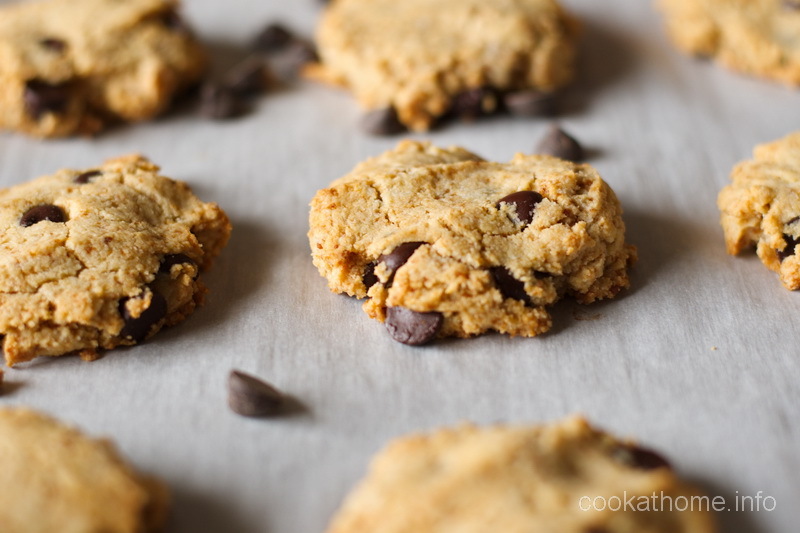 Nut butter is classified as ‘more healthy’ – and this means I can enjoy many of my favorite treats like these cookies, and slices … but in moderation of course! Ghee is clarified butter, and being lactose free means that I can have this and not worry about having issues with my stomach. And I managed to win some ghee from Tin Star Foods through an Instagram competition so I started using it for some of my cooking. Did you know just how crispy a fried egg can be when you cook it in ghee? It is absolutely awesome! But then I thought to myself, how else can I use ghee? I wonder if I can use it in cookies? And me, being me, just had to try it. So I did, and loved the totally unique taste the ghee gave what would have been relatively standard chocolate chip cookies. Our whole family loved them, and that’s saying something. You’ll love them too – try them and let me know what you think! Mix all dry ingredients together in a medium mixing bowl. Combine all wet ingredients (except chocolate chips) together in a small mixing bowl. Drop by tablespoonfuls onto baking tray and slightly press down to flatten (they do not spread). Bake for 9-12 minutes, depending on desired level of crispiness. Allow to cool on tray for 10 mins before moving to a wire rack.